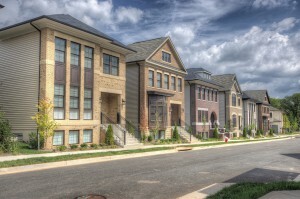 Urban, hip and electric are all words that can be used to describe the 2015 GALA Community of the Year Winner, One Loudoun. It is an extraordinary mixed-use community with endless entertainment options. One Loudoun boasts a wide variety of shops including a Fresh Market, and Barnes & Noble and Northern Outfitters are coming soon. Plenty of trendy restaurants to choose from such as, Matchbox, Uncle Julio’s Rio Grande, Bar Louie and many more. Catch a movie at the one of a kind Alamo Drafthouse Cinema or catch one of the many community events on the Downtown Plaza. One Loudoun features nearly three million square feet of office space, a clubhouse with pool and an amphitheater. Beautifully designed streetscapes and walking trails can be found throughout, providing residents easy access to everything the community has to offer. From the Summer Concert Series to the Tree Lighting during the holiday season, One Loudoun has something for everyone. With a packed calendar and an ever-growing list of merchants, One Loudoun has quickly become one of the hottest destinations in Loudoun County and the new downtown. This entry was posted in Winner Spotlight. Bookmark the permalink. Both comments and trackbacks are currently closed.